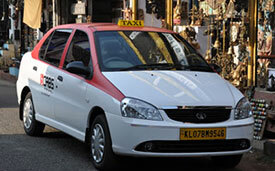 One of the favorites of business travellers to explore the city of Cochin. 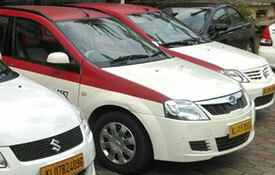 Though its primrarliy targeted for Kochi City Travel, it is an ideal vehicle for Kerala Tour Packages also. Backed by Toyota's legendary Quality, Durability and Reliability, you'll find the family-sized Liva a home away from home, wherever the road of Kerala takes you. Another favorite of the business travelers of Kochi. 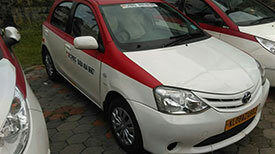 This vehicles also though primarily targeted for Kochi City Travel, it is an ideal vehicle for Kerala Tour Packages also. 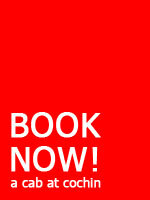 It’s also a favorite among the newly wed couples for their Kerala Honeymoon Tour Packages. 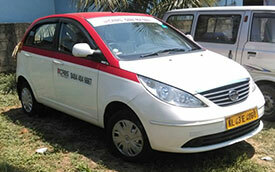 The first indigenously developed Indian car from the house of Tata. Small, cozy and comfortable hatchback. 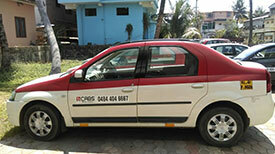 An ideal vehicle to cruise the streets of Kochi especially for single business travellers interested in trading. Another luxurious vehicle from TATA which is a rear seat traveler’s paradise and is ideal choice for a relaxed journey for Kochi City Travel and as well as for Kerala Tour Packages. A compact little European sedan originally built by the Renault is a very practical vehicle and accommodates 4 passengers and has generously sized trunk. 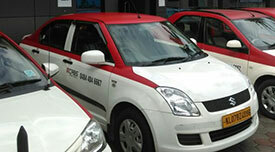 This vehicle is also a favorite among the North Indian business travelers to the city of Cochin. 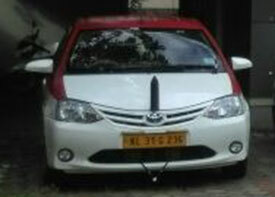 One of the most sought out car for Kerala Tour Packages, this is an ideal & compact sedan for cruising through the landscapes and beaches of Kerala for you and your family. Most ideal vehicle for Kerala Tour Packages. Backed by Toyota's legendary Quality, Durability and Reliability, you'll find this family-sized sedan a home away from home, wherever the road of Kerala takes you.